Matt, I never wanted to have this personal relationship with grief that I do. I never really thought I would know this heartbreaking, life changing type of grief. I never thought it would become my life partner. I never thought it would become a part of my soul and stay forever in my heart. This grief is like the blood that pumps through my body. It has become part of who I am. I’ve learned that grief doesn’t keep track of time. Although four years have passed since your death, this grief is as powerful as it was in the very beginning. I’ve learned that the first year is not the hardest. Surviving all those firsts really means nothing. That first year fog protects you like a warm cocoon. It shields you from the reality that life will never be the same. It enables you to continue to breathe, to survive. But it in no way prepares you for what is to come. I’ve learned that this grief does not soften with the passing of time. I’ve learned there is no escape from those unexpected gut punches. Those powerful, crushing waves continue to knock me off balance just as they did in the very beginning. Time brings with it the harsh reality that this is it. This grief is here to stay. This grief remains as overpowering and relentless showing no signs of letting up. Time continues to march on as years follow dragging me through the next birthday and holiday without you. Dragging me kicking and screaming begging for a short break from the pain of your loss. I’ve learned there are no stages of grief. I bounce from one emotion to the next without warning. There are no straight set of rules. There is no passing one stage to get to another. No passing go to find peace. Grief is not linear. Grief is a tangled mess. The more you fight the emotions, the tighter it’s grip becomes on your heart. Grief is anxious and dirty. Grief is losing control in the blink of an eye. Grief is a trigger that hits like an explosion in your head and heart. 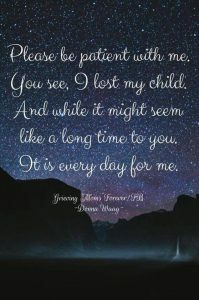 Grief is the mess your life becomes after losing a child. I’ve learned grief never sleeps. She’s there lurking in every corner waiting to pounce as soon as she feels your vulnerability surface. Grief grabs you as soon as you awaken and follows you through your day. Like a lost pup she nips at your heels. Tiny bites with a sharpness that can’t be ignored. Grief follows as you close your eyes to rest. She comes in those haunting memories, the what if’s, the I should have’s, the why’s. Grief is a 24/7 animal. I’ve learned that grief can partner with guilt. Adding regret for things done, said, not done and not spoken. She teams up with so many powerful emotions that leaves the heart and soul spinning out of control. 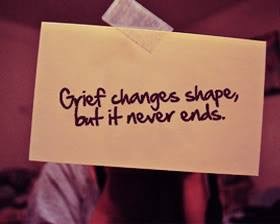 Grief is a constant reminder of reality. Grief continues to beat you down until you are battered and bruised. Grief however long she’s been in your life will continue to take your breath away. I’ve learned that grief will shake your beliefs about God. I questioned why he allowed you to die. I questioned why my prayers of keeping you safe were ignored. I questioned where God was when you were taking your last breaths. I questioned where he is now. I’ve learned that without God I would never have survived your death. I’ve learned that God is quiet and I need to let him be in control. I’ve learned that what happened in your life and at the time of your death was between you and God. I’ve learned to talk to God like he is a friend not always in a prayer but like he is standing beside me. I’ve learned that if I open myself up to signs they will be there. I’ve learned that I will never be the same woman. The eyes looking back at me show a profound sadness. I’ve learned that I have an inner strength I never knew existed. I fear nothing. I’ve learned never to take life for granted. I appreciate the sunrise, the birds singing, the warmth of a winter sun. I look at life through a different lens. I judge less. I’ve learned everyone is living through something hidden behind the masks we wear. I’ve learned that living with grief is not for the faint of heart. I’ve learned my grief has a life of it’s own. I know there is no escape. I’ve learned my grief must be accepted and acknowledged. My grief is as powerful as my love was and remains for you. I’ve learned not to fight when the waves hit. I must allow the grief to wash over me knowing that my life will always be vulnerable to those little things that bring you back to me. Matt, It’s Christmas day. My fourth Christmas without you. I heard the song, All I Want For Christmas Is You and thought what I really want is a re-do. I want to re-do our entire lives. I want father time to give me the power to turn back the clock to when you and Mike were young boys. I want to take back this knowledge of how our lives would unravel and redirect our outcome. I want to go back to the Christmases’ of complete chaos. The ones when the GI bug hit all of us and we took turns running to the bathroom while we struggled to open presents from Santa. I want to return to that time in life when Christmas brought great joy to my heart. Watching both my boys laughing as wrapping paper piled up under the tree. I want to go back to your teenage years knowing that your career choice would lead to your ultimate death. I would give up everything to have known that one day your passion for cars would lead to injury that would then turn into a deadly disease. If only I had the knowledge then that I have now perhaps you would be sharing Christmas with me. I want to go back to your first surgery and rip that script from your hands. I want to make the nightmare of your addiction magically disappear. I want the ghost of Christmas past to come and sweep me away from the reality of Christmas present. I want to hear the doorbell ring and see you walk in with a wife and kids in tow. I want to once again watch you and Mike sitting side by side as your tear into festive wrapping paper laughing over the gifts from your crazy mom. I want to hear your voices, your laughter. I want pictures showing both my boys together as men. I want to never take anything for granted. I would treat every Christmas as if it could be our last together. Enjoying every moment of chaos. Every moment of laughter. I would have hugged you longer. I would have taken more pictures of us together. I would have spend more time memorizing your face. 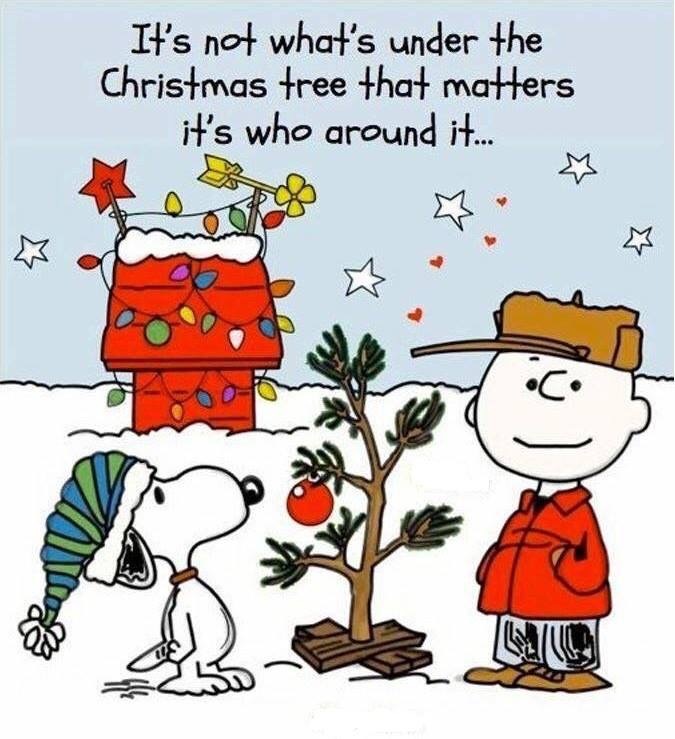 I remember watching A Charlie Brown Christmas with you and Mike. Never thinking that one day those words so innocently spoken by Charlie Brown would shatter what’s left of my broken heart. Material things, gifts, and decorations mean nothing when those you love are missing from around the Christmas tree. Matt, the definition of normal is something that conforms to a general pattern, ordinary or usual, typical, something that would be expected. I can tell you, I’ve been searching for “normal” for 46 months. Ever since you died nothing for me has felt “normal”. It’s not normal for a mother to bury her child. There is nothing normal about having to visit your child at a memorial garden. Nothing ordinary about not being able to pick up the phone and hear your voice. Nothing expected as I put my hands on your urn in my attempt to feel close to you. It’s not normal to feel like your choking everyday. Not normal to feel like your heart split in half but still remains beating in your chest. My emotions are wild changing from moment to moment. Memories still have the power to bring me to my knees. Normal is not breaking down when hearing a song, seeing a young father holding hands with his child or having to choke back tears as two little brothers ring your doorbell yelling Trick or Treat. It’s not normal to walk around on unstable ground. Feeling anxious and foggy. I’ve suffered through losses before. This is worlds apart from anything I’ve ever lived through. This normal was never expected. What was expected was you to grow old. To marry. To be in my life until it was time for me to go, not you. Normal is burying your parents, not your child. These well meaning strangers have never ridden my emotional rollercoaster. They don’t experience my triggers. They haven’t been hit by the grief bus. The one that returns time and time again to slam me over and over. They don’t get the fact that my future has changed. Plans, goals and dreams are no more. My brain gets it but my heart struggles to accept the collateral damage that I walk through everyday. Believe me, I have trouble believing that after all the time that has passed I’m still breathless when reality hits. That 46 months feels like yesterday. That there is no way that we are 2 months away from the 4 year mark. My brain screams how, how, how have I survived this long? How can it truly be that I have not heard your voice or seen your smile for almost 4 years? There is nothing normal about not having your child in your life. There is nothing normal about having to put on your mask to face a world that is terrified of the grieving. 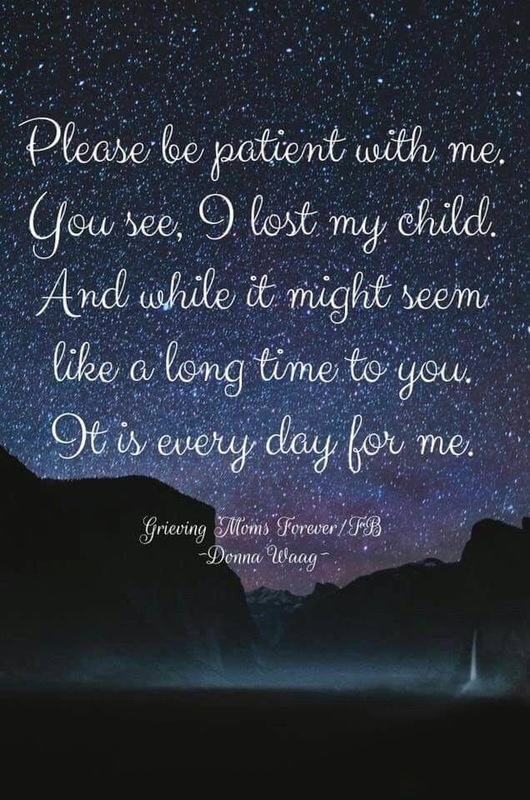 I’ve learned that this so called “new normal” is just a polite way to tell grieving parents to get over it. It’s just one of those new terms that’s supposed to fix our broken lives. Wrapping Us Up With You. Matt. I had myself fooled. Thinking that after 43 months I would be able to walk into your closet and not lose what was left of my mind. A friend had offered to make a quilt out of your shirts and I so wanted this to happen. I remember my self pep talk all morning. I kept telling myself to be strong. I kept saying over and over again, “You can do this.” I kept telling myself it was time to go through your clothing and donate some to a homeless shelter, knowing you would approve. I kept telling myself that your sweaters and coats would be useful in keeping a stranger warm this winter. I kept thinking how wasteful it was to keep everything just as it was when you were alive. Like you would come walking through the door looking for your favorite sweater. Like I was expecting you to come up to the kitchen freshly showered smelling of Phoenix telling me about your work day. Your closet was the biggest in the house. A huge walk in fully carpeted and lined with shelves. Before you moved home, I used it for storing winter coats and odds and ends that I couldn’t decide what to do with. I remember putting my hand on the door. Giving myself that last push. Once again telling myself I could do this. Pushing through the doors allowed light to flood the room. I stood surrounded by you. Your tee shirts and sweaters neatly folded on the shelves. Jackets hanging in the order last worn. I closed my eyes taking a deep breath as I sat on the floor and started to unfold your clothing. I didn’t realize the power of my grief. I started burying my face in your clothing. Pulling things off hangers and wrapping myself up in sweaters, coats and anything I could get my hands on. I didn’t understand the sounds coming from the depths of my soul had broken through the silence of the house. I didn’t realize that I was no longer alone lying sobbing on your closet floor until I felt her wet nose. Belle lay down next to me. Trying to comfort me with her body. She like me would bury her nose in your clothing. Occasionally lifting her head and smelling the air. I could see it in her eyes that her heart recognized your smell just like mine did. Belle tilted her head when I mentioned your name. She like me was looking for you. We sat together for most of the afternoon. Belle laying in the pile. Me wrapped up in the mess I’d created. Both of us smelling each piece trying to recover your scent. 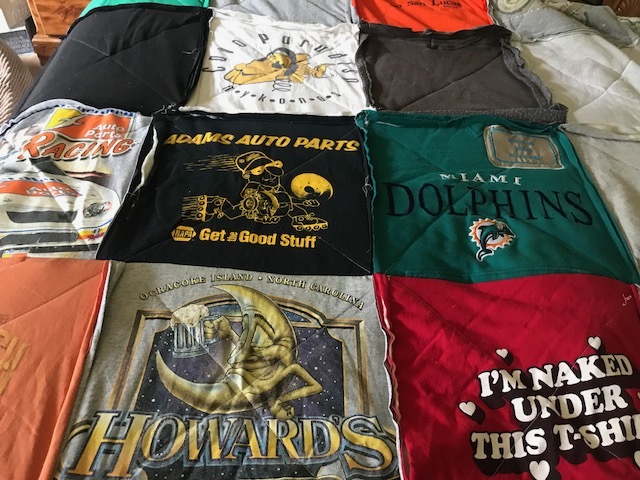 Every shirt held a bittersweet memory. Each one telling a story. Some came from travels to the Caribbean. Some bought just because you couldn’t stop laughing after reading their message. In my mind I could picture you wearing each one. Some were captured in the photos lining our bookshelves. I lost track of time as I allowed myself the gift of grieving you with no one to witness my brokenness. Just the dog we both loved. I sat talking to Belle as if she understood. I talked about you and I walking together on the beach as Belle and Kahlua played in the surf. I talked about all the times we shared with the dogs in our happy place. I told her how she lived with you while I found a new home. I told her you constantly told me she was your dog now and you weren’t giving her back with that big grin on your face. I swear she understood as her snout continued to smell the air surrounding us. 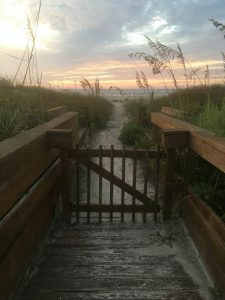 I let myself relax into her as memories of happy times at the beach flooded my brain. It was as if my dam broke and all the tears and memories were released together. I don’t remember putting your things in a bin. I think that fog settled into my brain. The fog that protected my psyche as I was driving to my dear friends home allowing her to transform the most precious pieces left of your life. I do remember sobbing as I placed the bin in her arms. Almost as if I was a new mom turning over my precious child to the care of another. She asked if I wanted to assist her in how the quilt would be put together. Wanting me to give her guidance in how to create a piece to honor your life. I just couldn’t do it. As ashamed as I was of my inability to help, I was emotionally spent. I would never survive holding those precious pieces so soon before I could begin to repair my shattered soul. The call came days later. Your quilt was complete. Emotions swam through my brain. I wasn’t ready to face the reality that your quilt would represent. These shirts would never be worn by you again. This reality hit over and over as I drove through blinding tears to pick you up bringing you home again. Walking through her door I saw her masterpiece. The quilt was displayed on her couch. I put my hand over my mouth to cover my sobs as she wrapped me in her hug. She laid the quilt in my arms like a precious newborn. I drink you in. Holding you and burying my face into you. Heading home I placed you on the passenger seat. Talking to you as I did when you were alive. I carried you upstairs and laid you across my bed. Belle now by my side. Her nose seeking your scent. We sat next to each other, a grieving mother and her loyal dog sharing a loss felt deeply by both. Wrapped up together with the memories of the boy we both loved and lost……………..
Matt, Since your death I’ve been doing a lot of thinking about Heaven. I want to know everything there is to know. I want to know if your happy. If your Heaven really is a beach. I have memories of us laughing sitting side by side watching the waves crash onto the shore and both saying “Heaven is a beach”. We were so alike. Our love of the sea is a tie that will forever bind us. My bookshelves are lined with books written by those who returned after a near death experience. I read their words closing my eyes and letting my soul imagine the colors, shapes and sounds. I see your smile in my mind. I hear the song of the gulls and remember the salty spray in my face. I see you as a child. Racing your brother through the waves. Your laughter was beautiful music to my ears. The vastness of the sea always made me feel the wonder of God. I wonder about the nature of life after death. I search my bible for comfort in knowing that you arrived in Heaven and never looked back. Looking for answers anywhere they can be found. I scour book stores like someone dying of thirst. I need to know. There are days the clouds roll into my heart and I question everything I believe. Those dark days bring such pain to my heart. Those are the days you’ll find me talking out loud to God. Days I beg for a sign. My desperate heart needs proof. Those are the days I feel the weight of my grief. Questioning everything I’ve ever believed about God and his Heaven. The hardest part of your death besides missing you everyday is the wonder if I will ever see your handsome face again. So much was left unsaid and undone. Always thinking there would be more time. Never thinking you would leave me behind to find my new normal. I wonder if you will be there when I leave this earth. You were never afraid to die. I remember our conversations. How you amazed me with your thoughts about God and Heaven. How many times it was you comforting me. How ironic a child giving peace to his mother. I’m left with unanswerable questions. Questions that have the power to haunt my broken heart. Questions that cause me to sit on the edge of the dark abyss of the unknown. Questions that shake me to my core. On those days I reach for my Bible. This amazing book spent so much time sitting on my shelf unopened. I talk to God asking him to speak to me. To give me what I need to survive your loss and the emptiness that has taken up residence in my heart. Matt, I can hear you laughing as I write this. Your Mom reads the Bible. I found John Verse 14. “Let not your heart be troubled; you believe in God, believe also in me. In my fathers house are many rooms, if it were not so I would have told you. I go to prepare a place for you. And if I go to prepare a place for you, I will come again and receive you to Myself; that where I am you will also be”. Reading this verse filled my aching soul with a peace I haven’t felt since you left. I remember begging God to keep you safe. To take care of you until we were together again. Never did I think my prayers would be answered the way they were. Never did I think God would take you home before me. Your death broke my faith and at the same time is helping to slowly rebuild it. If you lived, my Bible probably would have remained unopened. Now the Scriptures are where I run to on those rocky days. Sitting alone, my bible opened looking for answers. I can feel you surround me with your peace. I close my eyes and see your face. Your beautiful eyes. Your smile. I see you walking near the most beautiful sea. The bluest water. Kahlua running by your side. Oh Matt, my beautiful boy the sea continues to connect us. My dream is that one day when my eyes close on earth they will open again to see your beautiful eyes face to face. Together we will run into the waves holding onto each other, never letting go. My grief will wash away with the tide. The gulls will sing a song of joy and Jesus will greet us saying “Yes my children, Heaven is indeed a beach”.